Electric motorcycles are making a comeback and here are 10 of the best, fastest and most expensive battery-powered bikes for the public road. “It’ll be too loud, too dangerous. Nobody’s gonna want to buy that.” This is what Arthur Davidson said about a bigger, stronger, faster motorbike, according to the miniseries Harley and the Davidsons. Throttle forward a century, and now there are nearly 10 million registered motorcycles in the United States. Now the industry is facing completely opposite doubts as electric motorcycles begin to enter the market. People are saying they will be too quiet, too weak, and you won’t get far enough on a battery charge. These perceptions may not exactly be a lie but electric vehicle technology continues to evolve, and some of these new bikes could surprise you. The new breed of electric motorcycles may be quiet, but they aren’t always weak or limited to short ranges. They do tend to be noticeably pricier than their gas-guzzling counterparts, though. Regardless, if you are ready to dump the pump, there are plenty of electric motorcycles out there. We were unsure whether this concept would ever come to reality. Now it’s a reality and it marks a new era for the motorcycle giant. 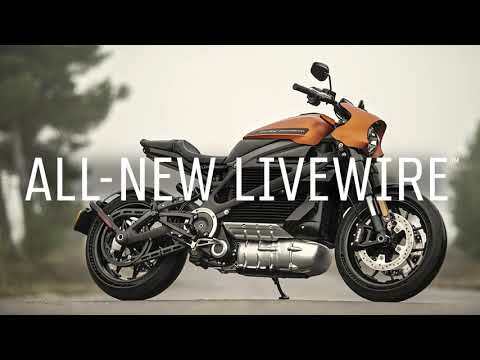 The Harley Davidson LiveWire is set to be released in August 2019. It won’t be cheap starting at $29,799, but we have seen plenty of Harley enthusiasts pay more for their bikes. The Harley Davidson LiveWire looks tough, but you may also notice the aesthetic language has evolved to a more sporty one. This is likely due to Harley Davidson’s attempt to attract newer generations, which they have been struggling with. Though fully electric, the Harley Davidson LiveWire is no slouch. It can reach 0-60mph in 3 rapid seconds and has an electronically limited top speed of 95mph. Range is not the best at 140 city miles, but it is also not half bad, especially considering it can be fully charged in one hour using Standard DC Fast Charging. Nothing beats the classic look and comfort of an all-American cruiser, if you ask me. And I am sure many of you would agree that a cruiser is the ideal motorcycle for a long ride. If what you are seeking is a brawny bike with saddlebags and stability, this is likely your best choice. Police agencies can even sign up for a special version. And you should definitely think twice before trying to run away from one of these. The V9 has a top speed of 115 mph and a range of 280 miles. That should get you from Los Angeles to Las Vegas (about 270 miles) on a single charge. Brutus looks mean, and it is a powerful machine with plenty to offer. You won’t get the rumble such cruisers are known for, but it looks amazing and is easily one of the best electric motorcycles you can buy right now. This is easily the most recognizable brand on our list of best electric motorcycles, aside from Harley of course. Vespa is the king of scooters, offering some of the best options of its kind since 1946. Vespa scooters became famous for their unibody steel design and ease of use. Motorcycles were dangerous, complicated machines people were too intimidated to try. But after WWII money was tight and people needed more affordable modes of transportation. Scooters were friendly and easy. Vespa helped bring motorcycling to the masses, and now they are offering the choice of going electric. The Elettrica will win no races, but keep in mind it’s a Vespa. It’s not meant for showy performance, but it will definitely take you places. 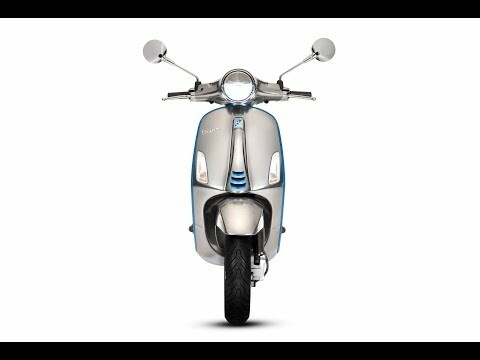 Piaggio Group claims it has more power than a 50cc scooter and a range of 100 km (62 miles). Not bad for zipping around the city! But if you need a little more range, there will be the X model, which will integrate a gas-powered generator that will offer double the range. Here’s another wild fact: it will have reverse mode! Pre-sales have begun in Europe and the USA, with a price of €6,390 and $7,499, respectively. Don’t want to wait around for Vespa? Or maybe you just don’t want to pay that much for a Vespa? Whatever the case may be, you will find this scooter enticing. Not only is it the most affordable bike on this list, but it’s also a pretty awesome scooter if you just want to move around the city. The Gogoro Smartscooter 2 Deluxe Edition comes from Taiwan, where it is priced at $52,800 Taiwanese dollars. That may sound like a high price, but in the USA it costs $3,200 USD. It is no slouch, either. At least considering the price. This thing can go as fast as 56 mph and has about a 68-mile range. Some other features include a smart key, a stylish design. bright LED lights, a 25 L trunk, ambient light sensors, fingerprint security, face recognition and more. This scooter is a beauty. Honda holds a spot among the best Japanese motorcycle manufacturers, so it couldn’t be too long before they came up with their own electric two-wheeled vehicle. Those looking for power and speed will have to look elsewhere. Now, if what you want is easy mobility, efficiency, and comfort, the Honda PCX ELECTRIC just might be your best bet. That is, if you can get a hold of one. Though a really cool concept that takes an already loved design, Honda is not ready to fully release this bike into the wild. Instead, they are leasing 250 units to “corporations and sole proprietors”. If you want one for yourself, a hybrid version will be more readily available. Production has already begun and you can see more details here. I promise this is the last scooter I’ll add to the list! I mean, I just had to. This has got to be the most interesting motorcycle I have ever seen. It’s… cute? Weird? Let’s settle with unique; and that is exactly why I like it. This is not simply a motorcycle with a replaced mechanism; it’s a new breed. This manufacturer decided to move away from traditional bike designs, simply because they could. There is no longer a muffler to worry about, or a motor shape. In fact, there are many components manufacturers no longer have to deal with when making electric motorcycles. Not to mention batteries can take many shapes. 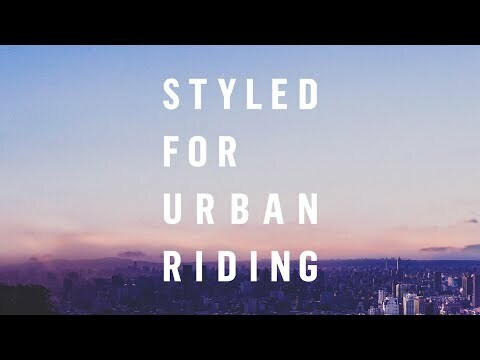 Why stick with traditional bike forms when you can change them? It’s not a bad scooter, either. Speed is electronically limited to 75 mph, and range is estimated at 200 km (124 miles). The Johammer J1 is a bit pricey at €24,900, but it is a unique bike that is sure to start a conversation or two. Victory Motorcycles is another popular brand name. The American motorcycle maker is one of the most important Harley competitors in the U.S. They are owned by Polaris, which also happens to have Indian under its wing. In essence, Victory makes bikes very similar to Indian models, but with a meaner, more custom look. Victory has also entered the electric motorcycle market with a very enticing option — the Empulse TT. 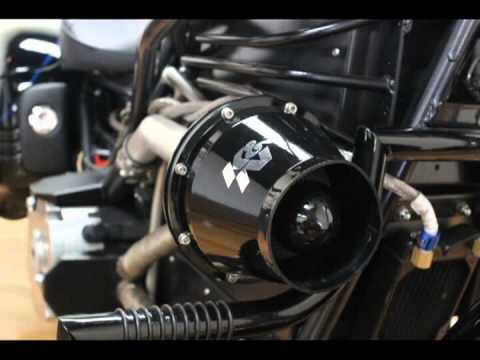 But those who know Victory Motorcycles are probably scratching their heads, wondering what the heck is going on here. Victory makes cruisers. It is certainly an odd move, as this looks more like a naked sports bike. There is an explanation for this. Victory bought this technology from Brammo and slapped its own logo on the motorcycle. They did improve the aesthetics and gave it 10 percent more battery, so Victory is helping here, even if only a bit. Regardless of its backstory, the bike is a very enticing offer. The Empulse TT has a 140-mile range and can go up to 100 mph. It is also not insanely priced. Yes, $19,999 can get you a real nice regular motor bike, but this price is not something that will scare you off and have you running away from the dealer either. Pro tip: look for a used one online, some cost less than half the price. It is not the fastest, or the flashiest, but sometimes you just want a bike that gets the job done, and this one does that pretty well. 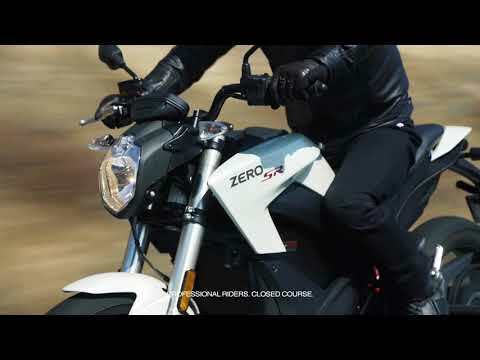 Zero Motorcycles is based in California and is known as one of the best electric bike makers around. They were making electric motorcycles before most of the bigger guys, so we have to give them credit for that. 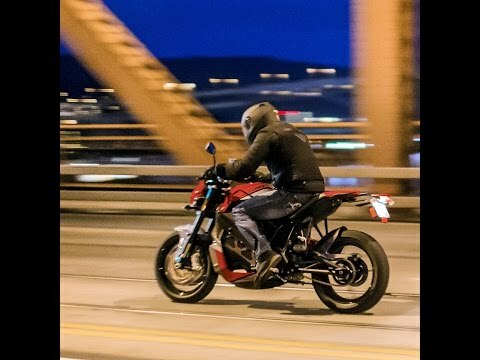 As for the Zero SR, it is a naked style street bike with a good price (relatively speaking), a top speed of 102 mph, and a range of up to 223 miles on a single charge. Not a slouch at all, and that’s a range most people can actually live with. This modern cafe racer-style motorcycle sure looks mean, and its $77,000 base price is even meaner. Is it worth that kind of money? The bike sure looks the part, but in terms of performance it is really not that special. Speed tops off at 120 mph. Range is pretty good at 120 miles, but that’s also nothing to write home about when compared to multiple bikes in this list. Lito throws in some fancy extras, including a touchscreen, keycard ignition and an electrically adjustable seat that can turn it into a sportsbike or a comfy cruiser. The body work is carbon-fiber and everything on the motorcycle is beautifully ornate and perfectly crafted. It isn’t a technical tour de force anymore, but it’s the designer watch of the electric motorbike world. That could be enough, but we’re hoping for something new. Looking for performance? This is your electric bike. The Lightning LS218 is the world’s fastest production electric motorcycle and it is, frankly, ludicrous. It comes with 150 kW, so the electric equivalent of 200 bhp and 168 lb/ft of torque. That’s more than BMW’s all-conquering, fossil-fuel burning S100RR. It is also a few pounds lighter at 495 lb. The end result is a bike that can storm through the 60 mph mark in two seconds and leave almost anything on the road trailing in its non-toxic wake. This has become one of the flag bearers for electric power, and it certainly made a powerful impression on Jay Leno. The 218 mph top speed is a conservative estimate based on the speed the bike actually achieved on the Bonneville Speed Flats. Now, with a number of new developments on the final production bike, the manufacturer claims it could be even faster. This is almost too much bike for the public road. It’s a race motorcycle with number plates, and it isn’t for a novice or the faint of heart. It is, though, an awesome machine and we should celebrate its mere existence. Don’t have nearly 40 grand to spend on an electric superbike? Very few do, so we would understand if you went with Lightning’s cheaper alternative. 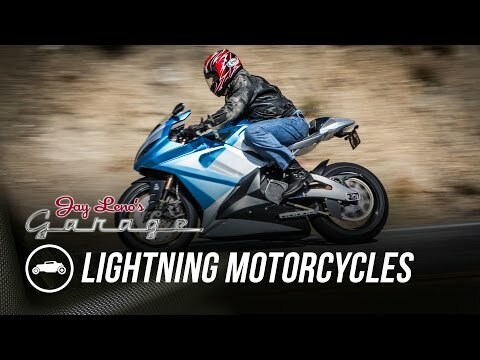 They have recently announced the Lightning Strike, a motorcycle that starts at a more reasonable $12,998. You get more modest specs with the lower price point: the Lightning Strike has a 150-mile range, but it is still plenty fast with a 150mph top speed. Apparently, it charges in a mere 35 minutes as well, which is useful. At the time of writing, we don’t know much else about the bike as it is pre-launch, but a good looking sports bike coming from the company is a start. 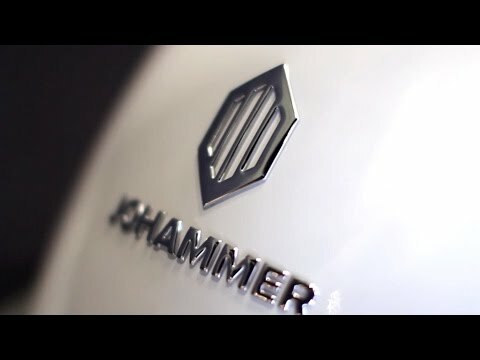 Now, although the company promised a March 2019 release, it is now mid-April and we haven’t seen the new motorcycle’s launch. You can reserve it with $500 for the standard version, or $10,000 for the Carbon edition. Both are refundable if you decide the bike is not for you. Stay tuned. It isn’t cheap, but the Energica EGO looks like a million bucks. This Italian superbike is all sharp angles and flat surfaces rather than the traditional curves. It looks modern and will stand out from the crowd. 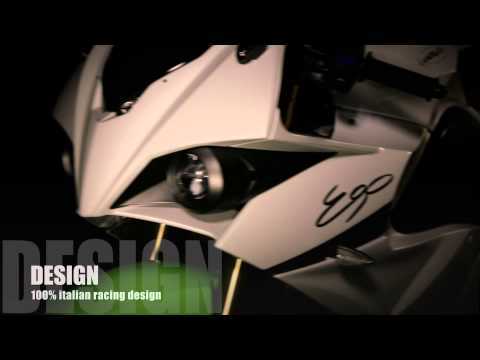 The Energica EGO was one of the first serious electric bikes and it was designed by a team of Le Mans and F1 engineers that specialize in rapid prototyping for the big teams. The 100kW (136bhp) motor comes with synchronous oil cooling and 143 lb/ft of torque. It hits 60 mph in three seconds, and its top speed is 150 mph. It’s a seriously quick bike, but it’s not quite the full-bore lunatic that you’ll find elsewhere on this list. It also weighs in at 585 lbs, which is a substantial lump to force through the bends. A DC charger can brim the battery in just 3.5 hours, but it returns just 93 miles at a constant 50 mph. The weight and the range suggests the Ego could do with a new battery/motor set-up, and it’s time for a change. Still, for a serious weekend warrior who wants to make the switch to electric power and doesn’t mind paying a premium for Italian style, this is a real contender. We haven’t forgotten about dirt bike lovers! There is actually a very good option for those who would rather leave the streets behind and go off-roading. 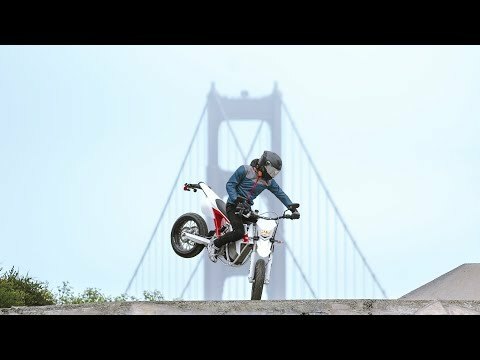 The 2018 Alta Motors Redshift SM takes motocross to a level you never thought an electric bike could achieve. It is priced at $13,495 and packs quite the punch. It can reach speeds of up to 80 mph (that’s way fast when you are in the dirt), and will go for 50 mixed miles before it needs a recharge. With 42 hp and 120 ft-lbs, you are sure to lift some dust. This bike will look enticing to many of you, offering a price that competes with many regular motorcycles in the market, and offering versatility for commuting or weekend adventures. So that’s it for our list of the best electric motorcycles you can buy right now. Ready to hit the road, dump the pump and get rid of all emissions? 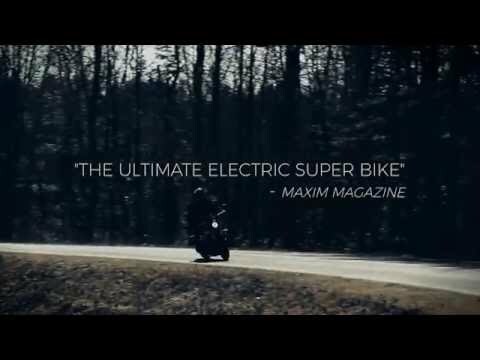 This list should help you decide which electric motorcycle is the best for you. Hit the comments and let us know which one is your favorite.